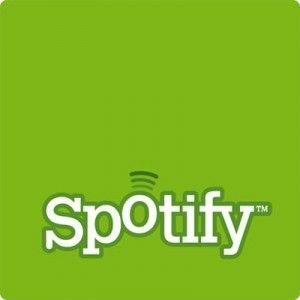 <firstimage=”//static.makeuseof.com/wp-content/uploads/2011/07/spotify-300×300.jpg”> Today, all the social networks are buzzed about the arrival of the European-based Stream Music For Free With Spotify (+ Invites) Stream Music For Free With Spotify (+ Invites) Read More popular music-streaming service, Spotify, to the U.S. market. Similar to other streaming music sites like Pandora, Radio.com, Last.fm, and MOG.com, Spotify delivers up a huge music collection that you listen to via the Internet, your mobile device, its desktop client, or in offline mode. To get access to the free ad-based service, you will need to sign up for an invite via the website. Or if you can’t wait, you can sign up immediately for the Spotify Premium or Unlimited options, starting at $4.99 per month. Though Pandora also has a free music-listening option, Spotify is different in that you’re not limited to listening to pre-selected radio station style playlists. Instead you can select from over millions of songs and albums in Spotify’s catalog and play what you like when you like. However, each track of course is DRM-protected which you can’t download and keep. In your account, you can create playlists and share music with your friends and followers. With a Premium account, you can access Spotify via your smartphone, as well as listen to music in offline mode. The premium account also apparently provides better sound quality and exclusive content to those who pay for the monthly service. Compared to the $9.99+ costs of music album downloads, plus all the necessity of backing up your music files, $5 a month to access and stream all the music you want over the Internet is a hugely cheaper option. You can also download a free desktop client for Spotify which connects to your online account. The local client is similar to Apple‘s iTunes, allowing you to create playlists as well as place music in a queue as you browse the catalog. I have been using spotify for over 4 years started on free downloads but moved to premium after 6 months to enjoy better quality of music and to contribute financially to receiving the option of creating my own playlist of music. Spotify keeps on getting better continually improving its service Shazam is a fantastic introduction to spotify have no regrets on monthly payments. Happy to be a satisfied spotify customer. This post is very wonderfully written ..I was not familier with this that Spotify delivers up a huge music collection that you listen to via the Internet, your mobile device, its desktop client, or in offline mode....THANKS A LOT FOR SHARING! Thank you for the feedback. I have a fuller review of Spotify set to be posted next week. If you’re considering streaming music as an option, my review suggest that also check out Rdio.com or MOG.com as perhaps a better alternative to Spotify’s paid plans. Rdio and MOG both provide i think a 7-day trial. You use a lot of drug Crowd Spring/Bakari. Stop working for Spotify, and start reading the articles you comment.